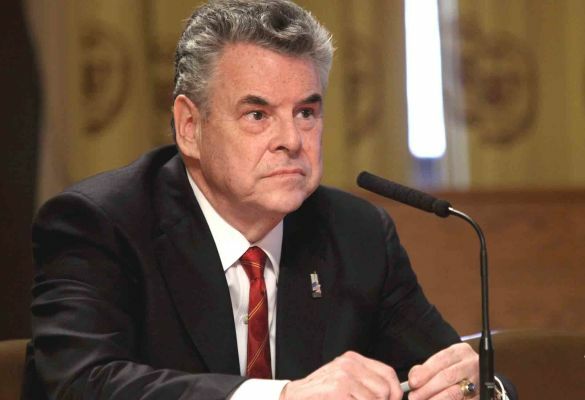 Representative Peter King from New York is the new head of the Homeland Security Subcommittee in Congress and wants to make a splash. His target? America’s Muslims. Unfortunately, these trials offer the worst of the Republican Party. Bigotry, hatred, ignorance, and outright defamation. If someone in Europe decided to put Jews on trial and hold public hearings on the radicalization of Jews in Europe, what would happen? What would our reaction be? Wait. That did happen. It led to Hitler’s rise and the murder of millions of Jews. Similar hate crimes are happening in the United States on a consistent bases. Far more hate crime occur in the US against Muslims, than terrorist by Muslims worldwide. America’s Muslim population is the most educated subgroup of American society. America’s Muslims are mainly professionals; lawyers, physicians, educators, businessmen, venture capitalists, and entrepreneurs. Further, a large proportion of cab drivers, gas station owners, and laborers are Muslim as well. You probably know a Muslim and work with one, but just don’t know it. Muslims don’t walk around with a sign on their foreheads that says, “Muslim”. Let’s be clear, America’s Muslim are not radicals. Nor are they being radicalized by Al Qaeda or anyone else. The facts don’t support Rep. King’s arguments. The mere suggestion of this is asinine and ignorant. During the entirety of the trial, not a single witness stated that America’s Muslims were being radicalized. To the contrary, nearly everyone stated that Muslims were cooperating with authorities and helping foil terrorist plots on a consistent basis. King should be ashamed of himself and the shame he has brought on our party. Since September 11, 2001, America’s Muslims have become even more proactive and aggressive in “being noticed doing normal things”. They began volunteering in other organizations outside of their local Mosques. They have joined civic groups, soup kitchens, PTAs, school boards, and have even run for Congress and have been elected to Congress. The tragedy of 911 helped Muslims realize that they need to be more publicly “visible” to the average Joe Sixpack. Now they are. That is not radicalization. That is Americanization. So the issue really isn’t about radicalization. Muslims in America are typical Americans. They wake up, go to work, eat lunch, do some grocery shopping, then come home to play with the kids. The issue seems to be that that “aren’t doing enough” or they “aren’t saying enough”. In Representative King’s mind, if you are a Muslim living in America and you aren’t out tracking down terrorists every single minute of your life, then you aren’t doing enough. This is absolutely absurd and an unrealistic expectation. unfortunately, the issue now seems to be about scaring people. When all else fails, demagoguery works. If we can’t get people to vote for us by inspiration and leadership. Maybe they will vote for us if we scare them. This strategy isn’t going to work and it’s the same morally bankrupt strategies that Dole and Gingrich tried in 1996. We have to stand for what is right. We can’t keep scapegoating and slandering every group and expect to win elections. That’s not what America is all about. We need to inspire vision and leadership. We need to bring people together not drive them apart. America is great because of all of us. Not just a select few. We need all of America. Did Trump win or did Hillary lose? Copyright © 2019 Muslim Republicans. All rights reserved.